using a drill bit in a tailstock-mounted chuck. This will remove the slow-moving center of the blank and give you an approximation of your final depth. Mark your drill bit or use a stop to prevent drilling through the bottom. As you approach the wall of the bowl, try to approximate the same curve inside as you have on the outside. Thickness calipers can be a big help here. I switch to a gouge with a shorter handle at this point so I can keep the bevel in contact while clearing the lathe bed. You may wish to experiment with different bevel grinds here to see what is easiest for you to use. I like a modified side-ground bevel for interior work. As with the bowl's outside shape, make your cuts lighter when you approach the final surface. As the bowl comes to full depth, you should be able to run your light cuts across the entire wall and bottom of the bowl. This should yield a good surface, with little torn grain. Determining your bowl's final wall thickness is a matter of personal preference. Many turners think thinner is better, but I disagree. If your bowl is to be used rather than displayed. leave in. or even V4 in. of wall thickness for strength and durability. 7 Finish up and chow down If you plan to eat out of your new bowl, it will need a food-safe finish. I've had good results with Behlen's Salad Bowl Finish (available from Woodcraft, 800-225-1153). Mineral oil is another traditional food-safe finish. Applying a beeswax coat with the oil will impart a gentle sheen as well as enhance the oil's protective qualities. Apply your finish with the bowl spinning at a slow speed (800 rpm), using a piece of foam rubber as a sponge. 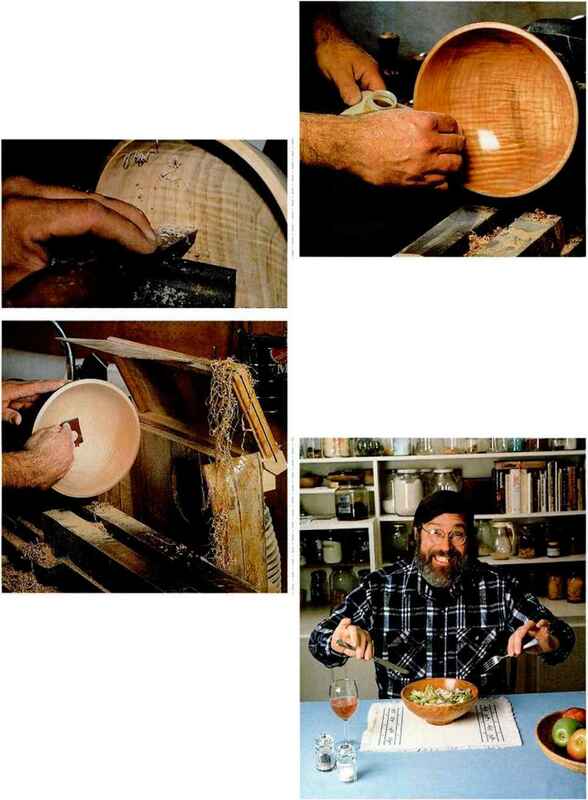 Be generous when working on the bowl's interior; centrifugal force will drive the finish deep into the wood. Once you are finished in the shop, take your new creation to the kitchen. You're bound to get a round of applause from chefs and chow hounds alike. The best thing about using cutting technique to make a bowl is the sanding you eliminate. With the bowl spinning at about 1,200 rpm. I gave this piece a hit with 120 grit to smooth out a rough section of interior end grain. Then I spent a couple of minutes each with 220 and 400 grit. Tip: Placing a vacuum pickup near the workpiece, as shown in the photo above, really cuts down on the mess that sanding can create. The bowl can be sanded while running on the lathe, or while stationary. I keep the bowl stationary if there's a stubborn spot of torn grain that needs extra sanding. If you can reverse your lathe, do so with each successive grit of abrasive to remove the fibers that "lie down." Remember to lock the chuck or faceplate tightly on the spindle before reversing the lathe, or it may unscrew itself! Safe, clean cutting. 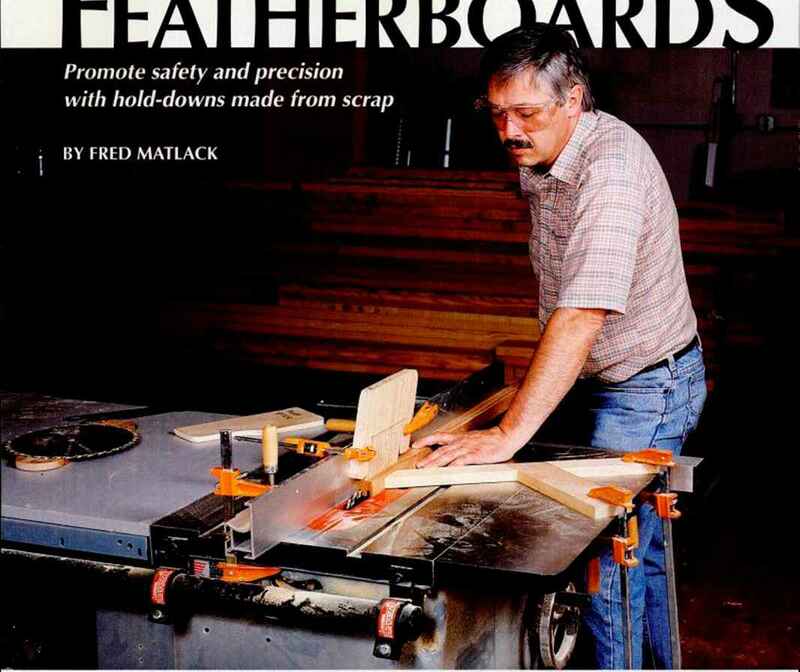 Featherboards protect your fingers and help produce clean, smooth cuts by maintaining consistent pressure against a fence or table. eatherboards are simple jigs that enhance both safety and accuracy. Also called fingerboards, they'll hold narrow or thin stock securely against a tool fence or table without jeopardizing your own fingers. 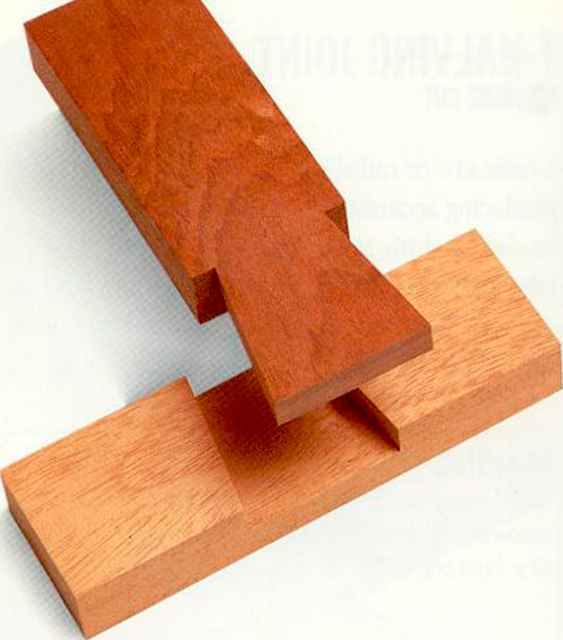 If made and used properly, they prevent kickback and help produce smooth, consistent saw and router cuts. In fact, any setup where stock is guided by a fence can be considered featherboard country. You can make featherboards in a variety of shapes and sizes. 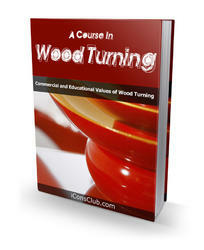 I'll show you how to make and use three different types that I find particularly useful. But first, a few words about featherboards in general.